About a third of India Inc may reduce its workforce by up to 20 per cent if the gloomy economic scenario persists during the year, a survey has said. "There is a sizable number (of companies), around 30 per cent, which are planning to cut jobs by up to 20 per cent if the economic slowdown persists during the year . . . (and) around 10 per cent of the employers are considering major job cuts," the survey by PHDCCI said. The survey is based on response of 200 companies. The firms may resort to job cuts in view of burgeoning inventories and sagging bottom lines, it said. 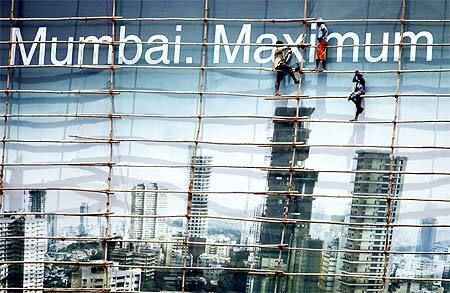 Image: Labourers work on a billboard in Mumbai. Job-losses in India are likely to intensify, says a study. 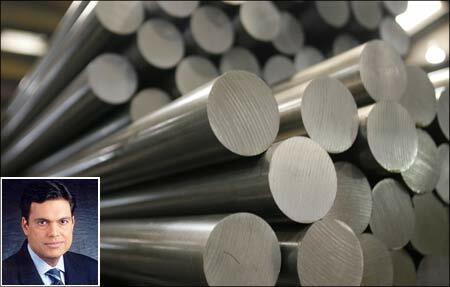 Hit hard by the global economic crisis, Sajjan Jindal-led JSW Steel has almost halved its workforce at its steel mills in the United States to remain competitive in the current scenario. "We have cut jobs by 40-50 per cent at our units in the US in the last two quarters to bring the workforce in line with the capacity utilisation of the mills," JSW Steel Joint managing director M V S Seshagiri Rao said. The mills altogether employed 950 workers in 2007 when the Texas-based mills were bought at $810 million. The mills can produce 1.2 million tonnes of plates and 0.5 million tonnes of pipes annually and are currently running at only 10-15 per cent of their capacity. "Almost all the steel mills in the US are running at much lower production capacity due to the slump in steel demand on account of the economic crisis. We are running our mills at 10-15 per cent of their production capacity," he said. Globally steel majors like ArcelorMittal and Corus have come out with programmes to cut their production capacity and jobs aimed at bringing down the operational cost amid slump in demand for their products. Telecommunications major British Telecom plans to cut up to 15,000 jobs, which is about 10 per cent of its total workforce, following acute economic crisis. BT, however, said that it does not plan to do compulsorily lay off people and will reduce the staff strength through 'natural wastage, non-replacement and voluntary redundancy'. The company also said that it might bring some of the jobs outsourced to places like India back to the United Kingdom. The telecom giant's employee strength was down from 162,000 to 147,000 by March this year. 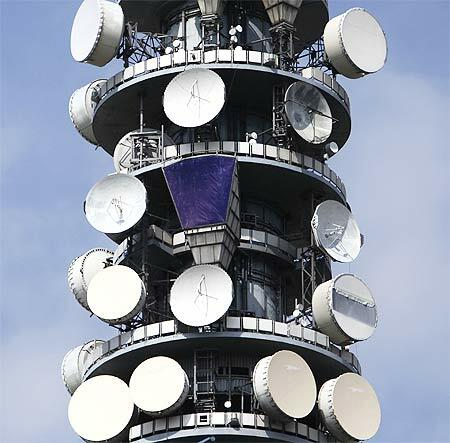 Image: The British Telecom Tower is seen in central London. Schaeffler, the world's second largest ball-bearing maker, has said that it may have to lay off 4,500 employees as the company's sales have plummeted following the deepening crisis in the automobile sector. 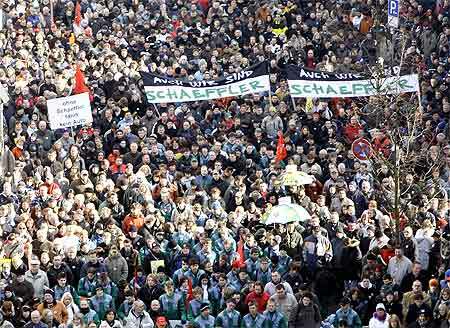 Image: Around 5,000 employees and their families of German company Schaeffler Group take part at a demonstration in Herzogenaurach, near Nuremberg. A possible merger between General Motors' European business and Italian auto giant Fiat increasing might lead to a loss of job for 18,000 employees, fears an Opel workers' union. Fiat's proposal to buy General Motors' European business would also put British workers' jobs at risk. Fiat is looking to bring GM's Vauxhall, Saab and Opel into a company. Fiat has also shown interest in Chrysler, the collapsed American auto major. 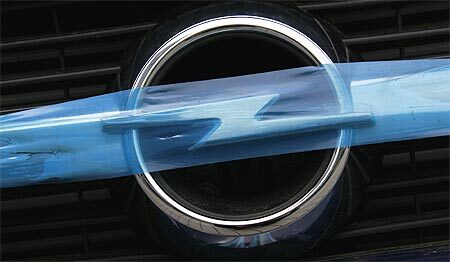 Image: An Opel logo is covered with plastic at a car seller in Darmstadt. Hardware maker Seagate Technology will be laying off nearly 1,100 employees or about 2.5 per cent of the global workforce, as part of its restructuring efforts. The company expects to save as much as $72 million from the restructuring plan, which is expected to be completed by the end of July this year. The firm has "initiated a restructuring plan that includes a reduction of approximately 1,100 employees or 2.5 per cent of the company's global workforce", it said in a statement on Thursday. The plan is anticipated to result in total pre-tax restructuring charges of about $72 million. According to the company, the charges would primarily be incurred in the June quarter and consist mainly of cash-based employee termination costs which are expected to be substantially paid in September. The move is expected to save $125 million annually. 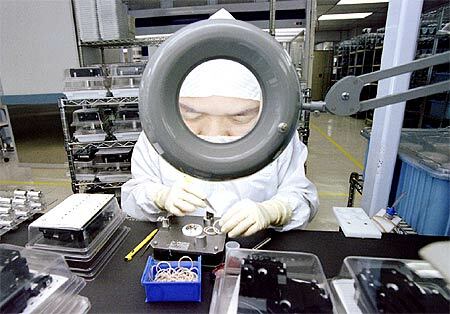 Image: An employee of Seagate Technology is enlarged by a magnifying glass as she concentrates on assembling hard disk drives at their Singapore plant. 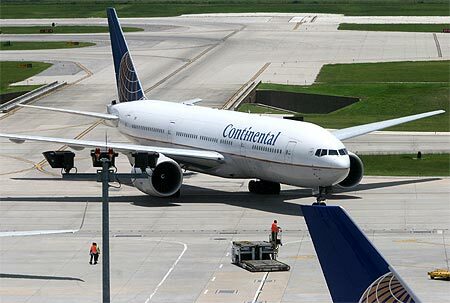 US Continental Airlines will lay off 500 reservation agents and shut down a reservations centre in Florida. The airline has said that more and more passengers are preferring online reservations and thus these jobs can be cut helping the company save a significant amount of money. The Houston-based airline currently has 43,000 employees. Image: A Continental Airlines Boeing 777. 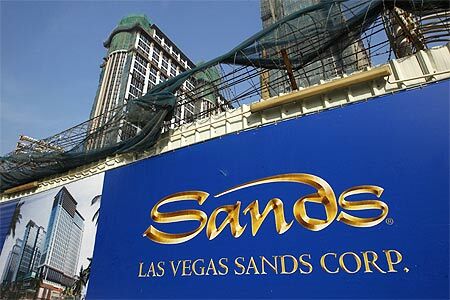 Billionaire Sheldon Adelson's Las Vegas Sands Corp will lay off as many as 4,000 jobs in Macau, even as the US casino operator plans to cut costs in these tough economic times. The company, which was building a $12-billion 20,000-room complex of hotels and casinos on Macau's Cotai Strip, has stopped work on the giant project as credit flows have dried up and the market has plunged. The move will help the company save an estimated $470 million in costs. Image: The Las Vegas Sands company logo. Microsoft may lay off more if. . .
Microsoft, which has announced laying off 5,000 employees including 55 in India, said on Tuesday it may look at more layoffs if the economic downturn dramatically worsens again. "Presuming the economy hopefully stays as bad as it is and doesn't get dramatically worse, we will finish our plan, but if it gets dramatically worse again, we will look at things again," Microsoft Corporation CEO Steve Ballmer, told reporters in Mumbai. The Redmond-based company had announced in January it would axe 5,000 jobs globally amid the ongoing slowdown. It announced on Monday slashing one per cent of its 5,500-strong Indian workforce, amounting to 55 layoffs, in a bid to realign its business in the country. 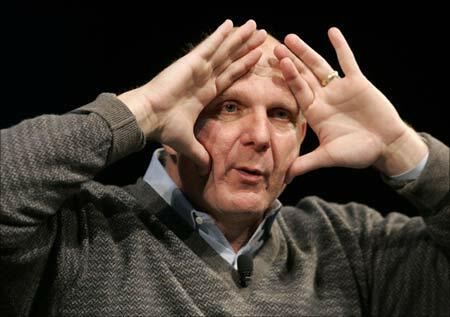 Image: Microsoft CEO Steve Ballmer.